The introduction of PGC 601(Research Methodology and Application of ICT in Research) and PGC 701 (Synopsis and Grant Writing) by the School of Postgraduate Studies(SPGS) was to keep pace with the Vision of the University of Nigeria to create a functional, globally competitive and research-focused University that is responsive to the needs of the society, while delivering world-class education and knowledge; and her Mission to place the University in the forefront of research and development, innovation, knowledge transfer and human resource development in the global academic terrain, while promoting the core values which will ensure the restoration of the dignity of man are fore-grounded in. The workshop introduction is also part of the efforts of the SPGS to pursue its mission attracting, educating, training and transforming qualified persons to high level manpower that are thoroughly equipped with adequate and update knowledge and specialized skills in research and innovation that are deployable for first-rate development and improvement in all fields of human endeavour. The solution-based series of interactive workshops, with practical demonstrations and applications of contemporary trends in research methodology, is aimed at producing seasoned scholars who would chart the course of the new world economy that is driven by electronic technology. Featured events included Accreditation of Participants, Address by the Vice Chancellor, Keynote Address by the Dean, School of Postgraduate Studies and Tea Break. Featured events were Research Methods, Lunch Break and ICT/Data Analyses. Featured events were Grant Writing, Synopsis Writing, Lunch Break and Publishing in Impact-Factor rated Journals. Featured events were Electronic Library Resources in Context and Introduction to Databases, Online Databases: Formulating Search Strategies, Using Turnitin Software for Originality Check, and Online Reference Management Tools in the Digital Era: Introduction to Mendeley. 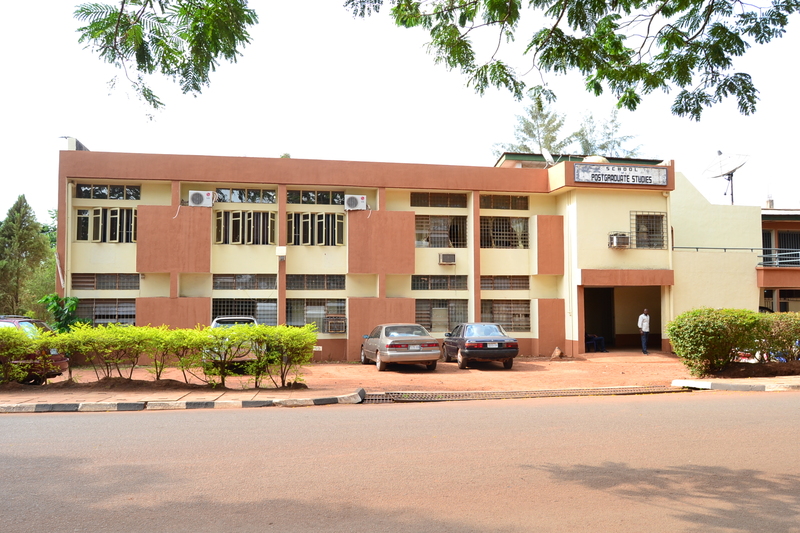 The entire Workshop and Training events (in structure and contents) held at Nsukka Campus were replicated in Enugu Campus, using the facilities and spaces of CEMAC, CBT, and FBA auditoria. The basic workshops materials were sets of computer systems (made available by the Nnamdi Azikiwe Library, for both campuses), Power Point projectors, public address systems, and branded file jackets distributed at accreditation points. Two thousand, one hundred and twenty (2120) students registered and participated in the programme. Certificate of participation has been prepared for distribution to participants. © 2019 School of Post Graduate Studies, University of Nigeria Nsukka . All Rights Reserved.